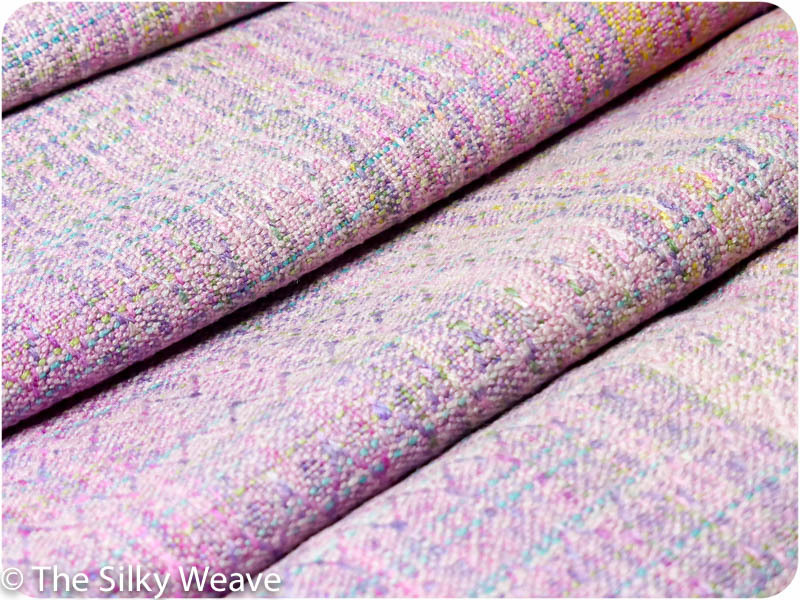 Gentle and subtle, yet beautiful and strong, with 270 GSM density. 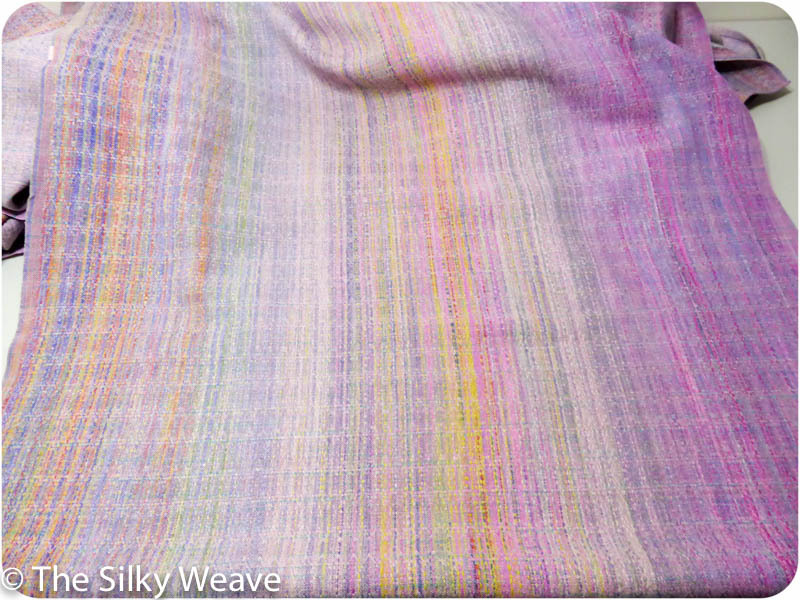 The weft is the same silk as in the warp. 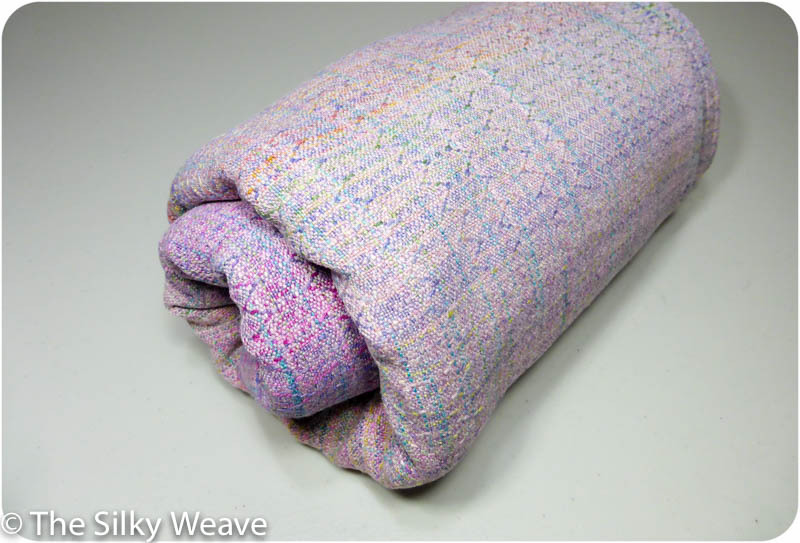 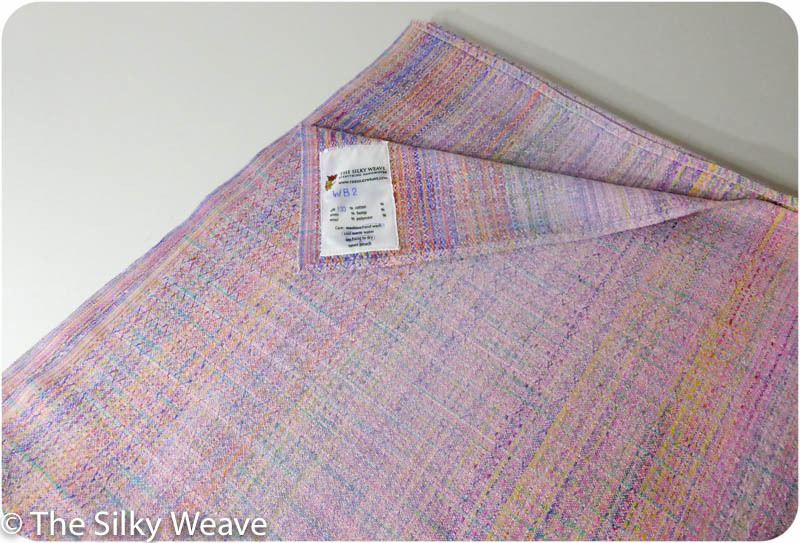 Weft colours are gentle, with three shades of pale pink, and there is turquoise and sour apple green accents to add another layer of intricacy to the look. 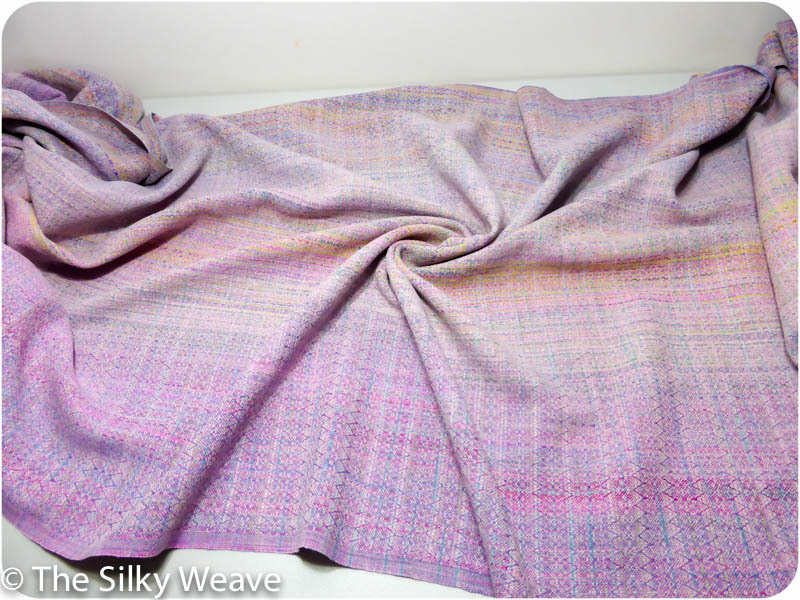 Just look at the drape! 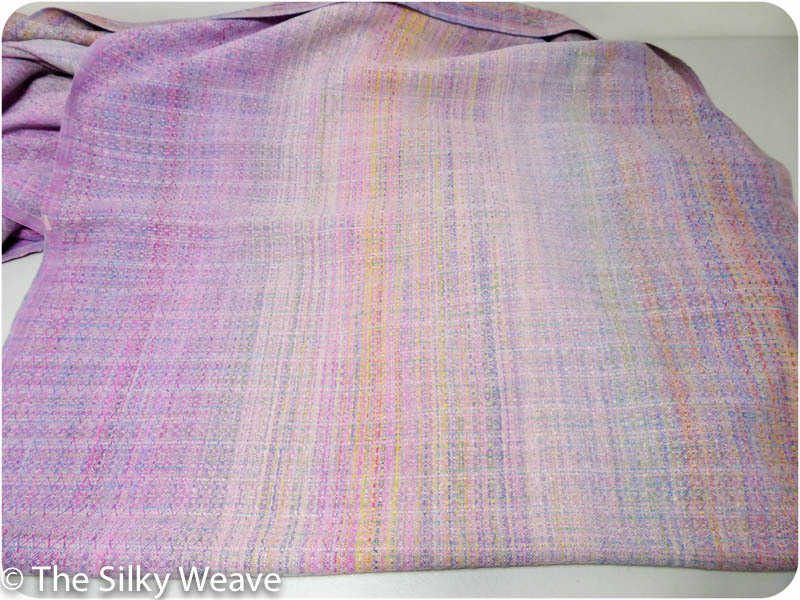 While the face of the fabric has a very gentle pink undertone, the reverse side, with the warp dominance, shows stronger colours (left- face, right – reverse). 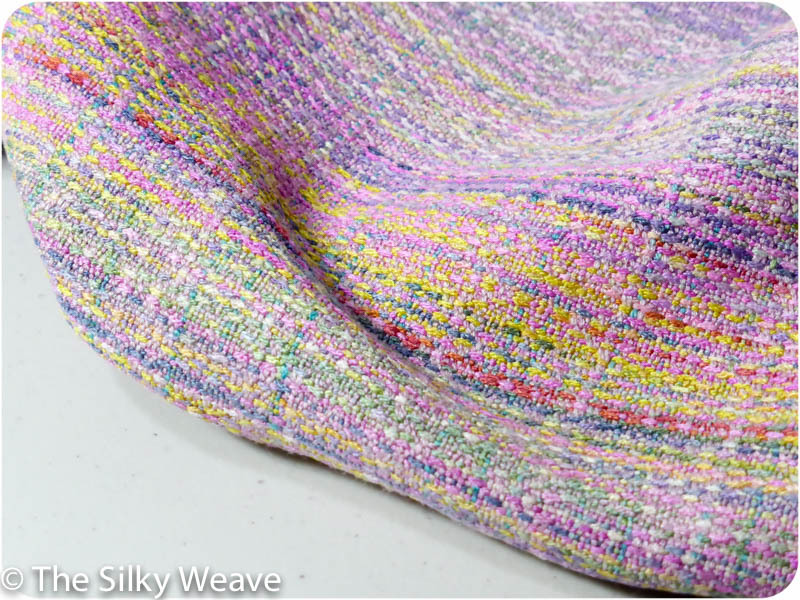 And tactile middle markers, embroidered with silk, become more popular recently. 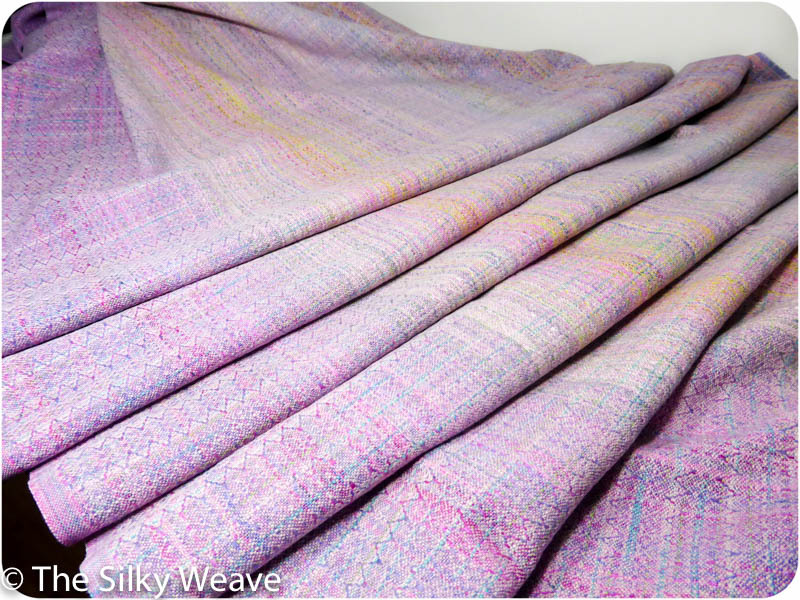 With weaving I find it amazing every time how weft colour and thickness play into the looks – more so than the pattern!